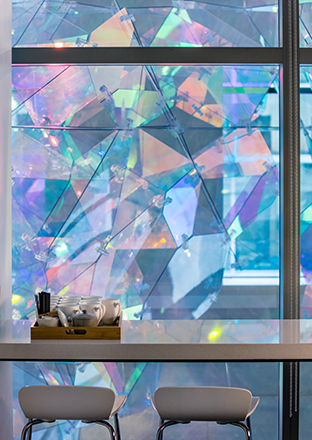 The brand new 88 Scott development in the culturally rich neighbourhood of St. Lawrence is now officially home to Balmond’s latest work of art, Spectrum. 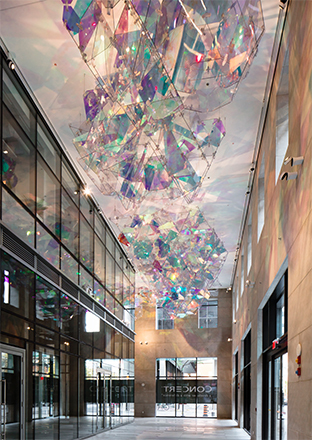 Resembling a chromatic cloud of light and reflection, it appears to hover at the ceiling of the public atrium in the large-scale mixed-purpose development. Cecil himself made the journey to Toronto for the unveiling. Chairman of the project developer, Concert Properties was also present. 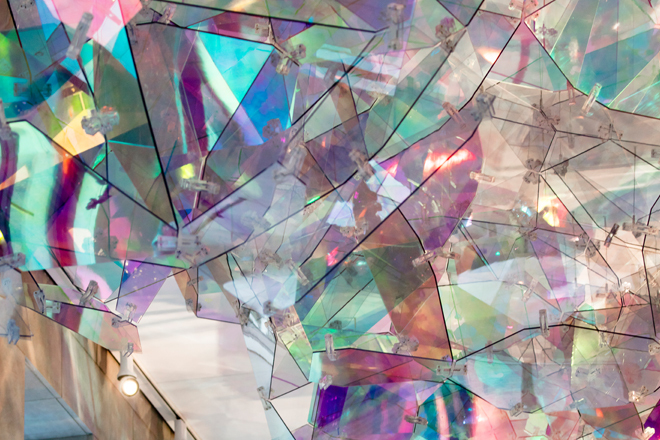 The sprawling crystalline sculpture is sure to have visitors gazing skywards, a sight to behold (and one that is Instagram friendly as well). 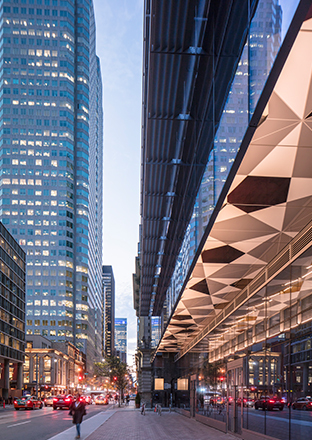 It marks Balmond Studio’s foray into new geographical territory in a period of steady global growth for Cecil’s art.